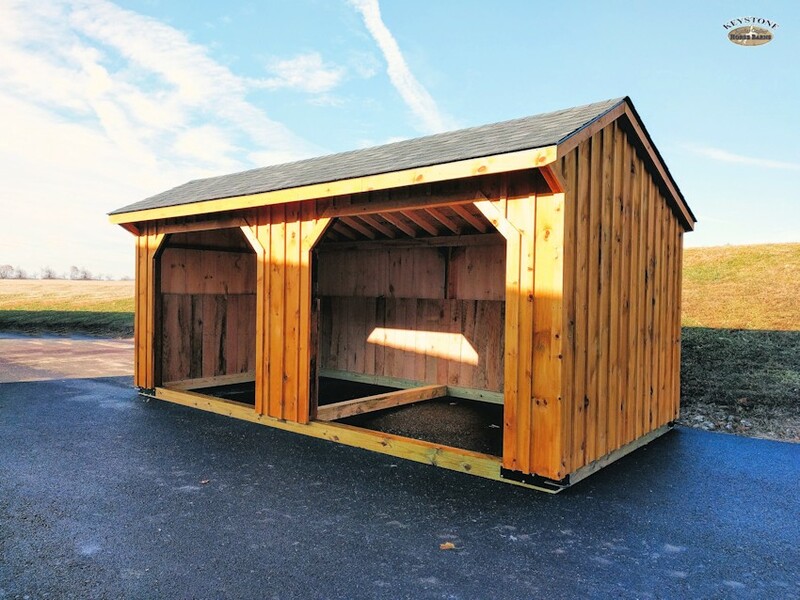 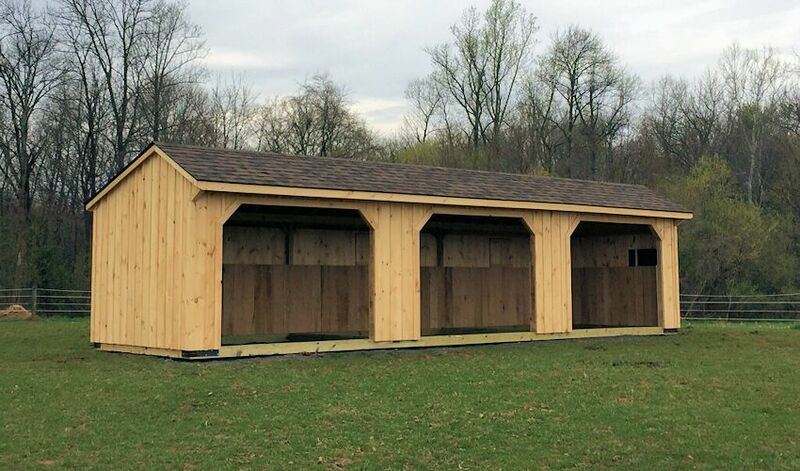 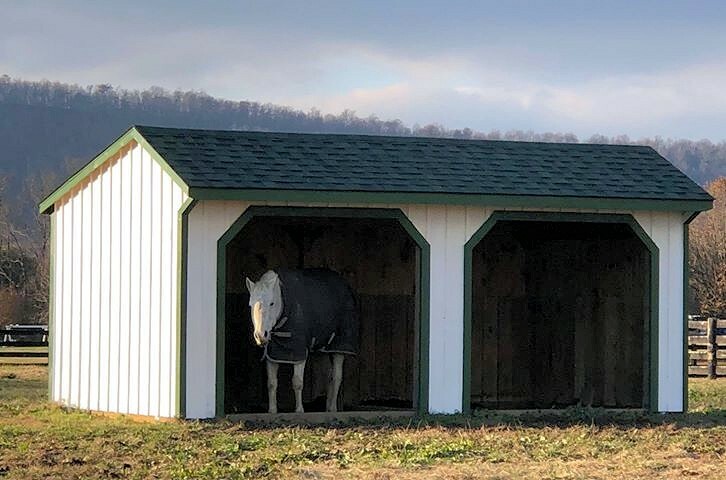 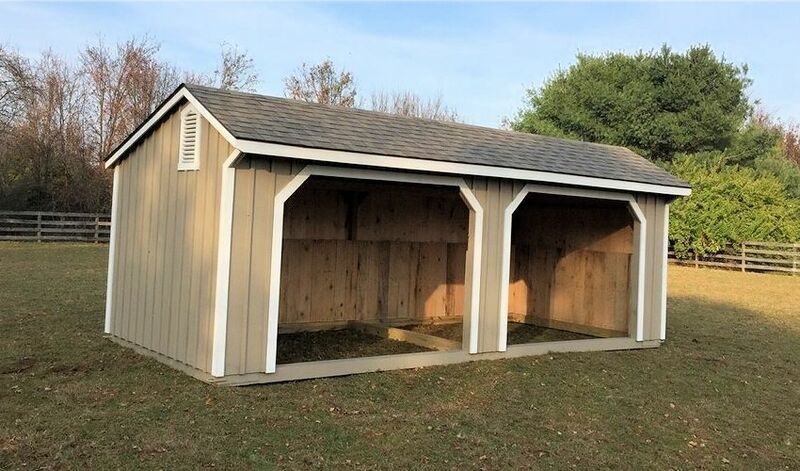 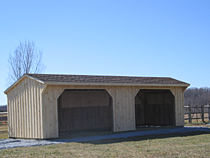 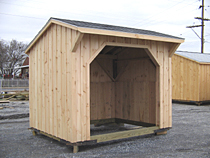 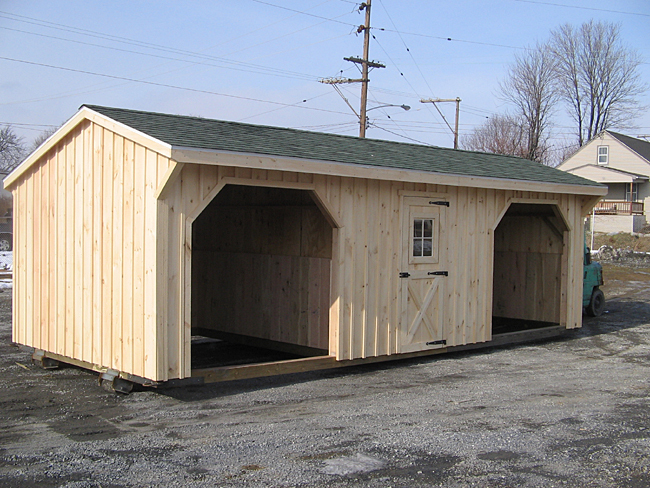 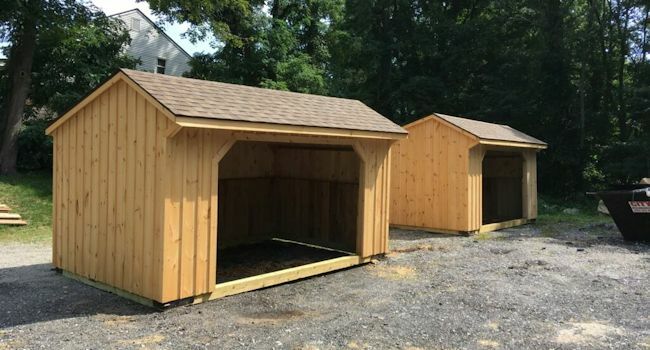 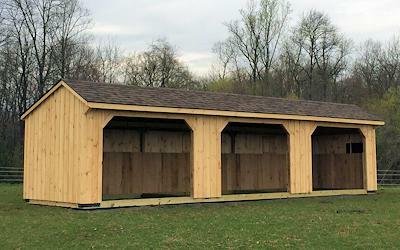 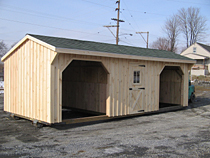 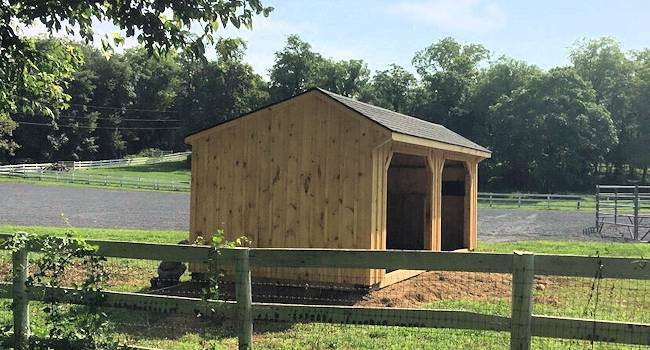 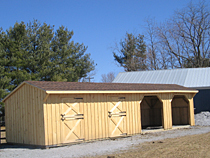 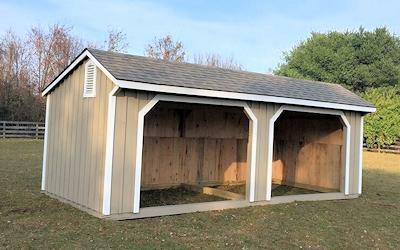 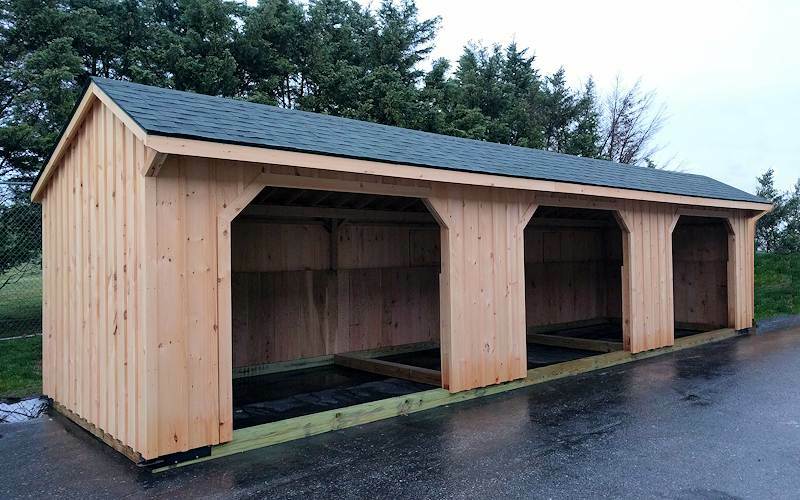 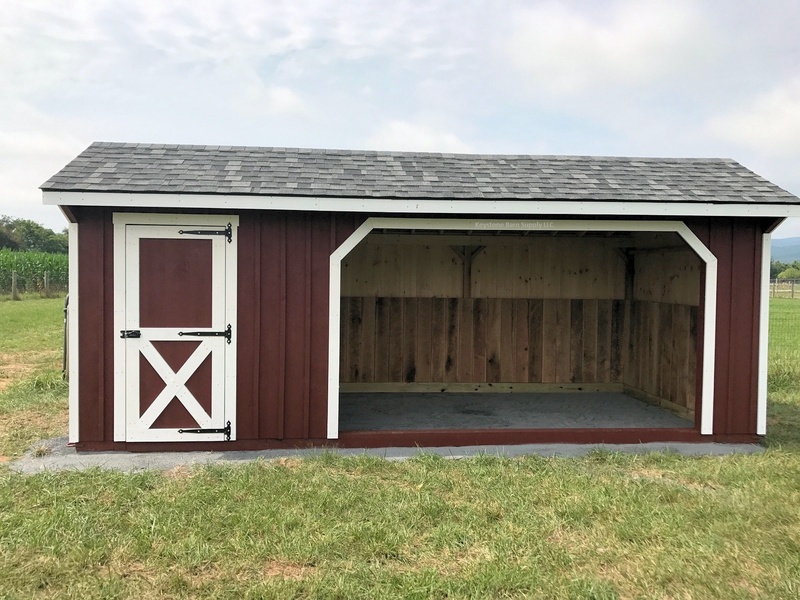 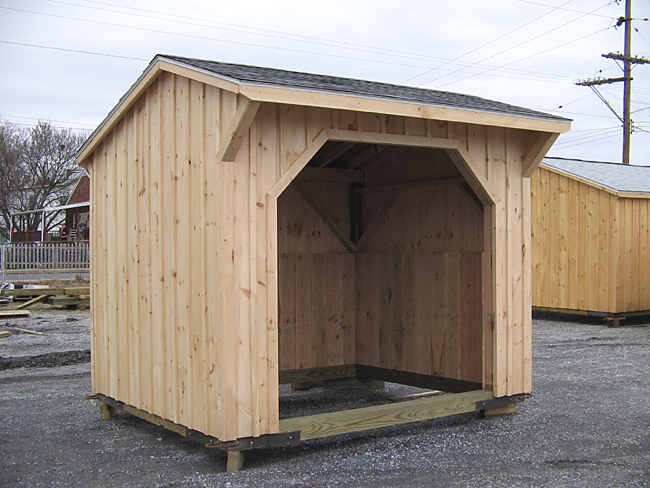 Our Wooden Run-In Sheds come standard with natural white pine board & batten siding, but as an option, may also be stained or painted for better weather protection. 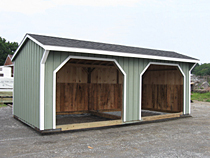 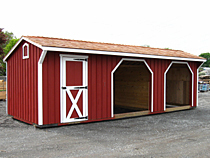 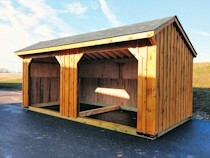 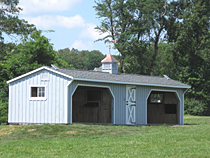 You may also add a storage, tack room or stall to any of our run in shed, or build any combination desired. 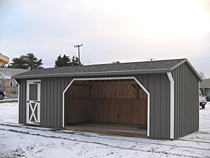 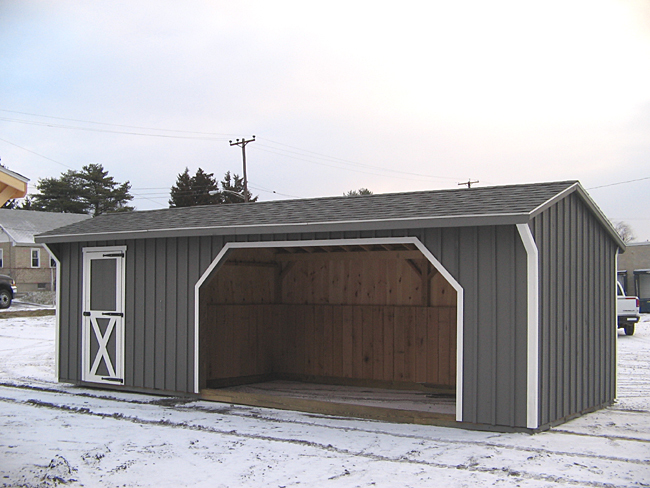 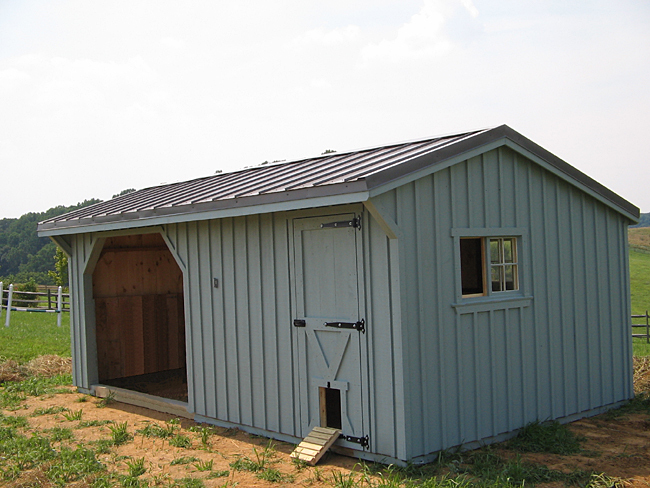 Did you know that with our Run In Sheds you can upgrade to T&G pine barn siding at no extra cost? 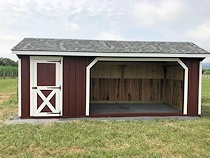 Custom or two-color painting not available during winter. 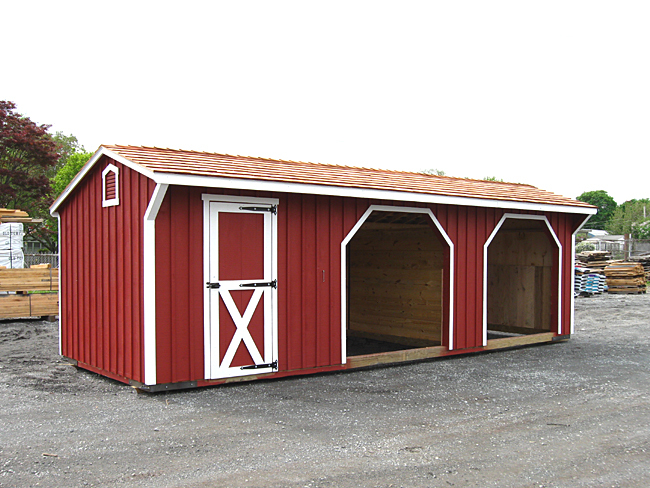 Only single color stain available. 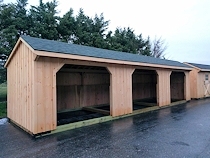 12'x38' modular run in shed with one tack room and three run-in openings. 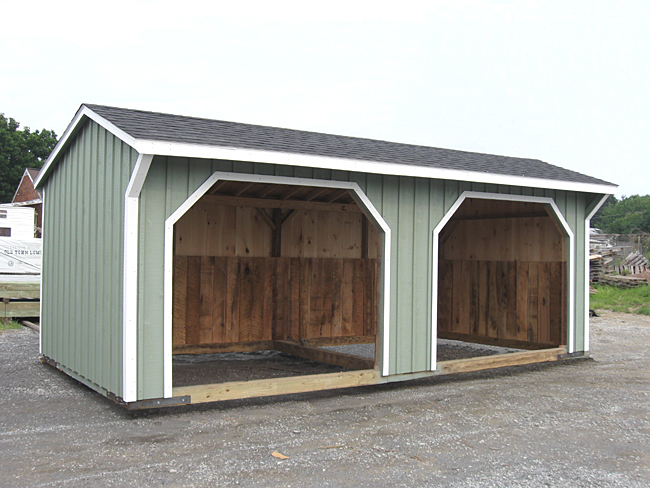 The far right run-in has an optional removable partition installed.